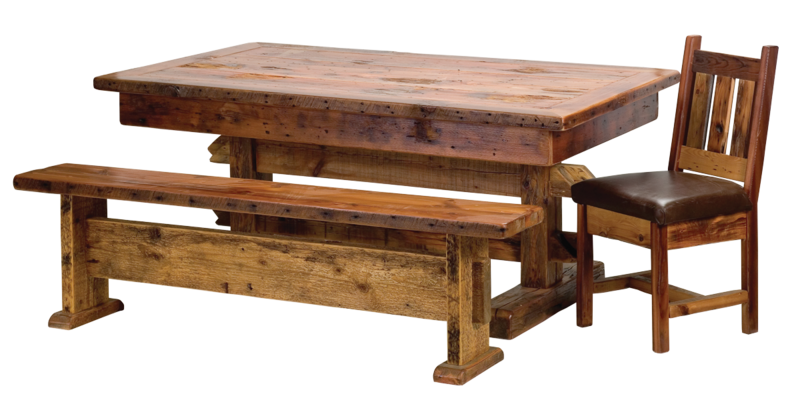 Add a touch of nostalgia with our aged reclaimed tobacco barn wood Teton diner. 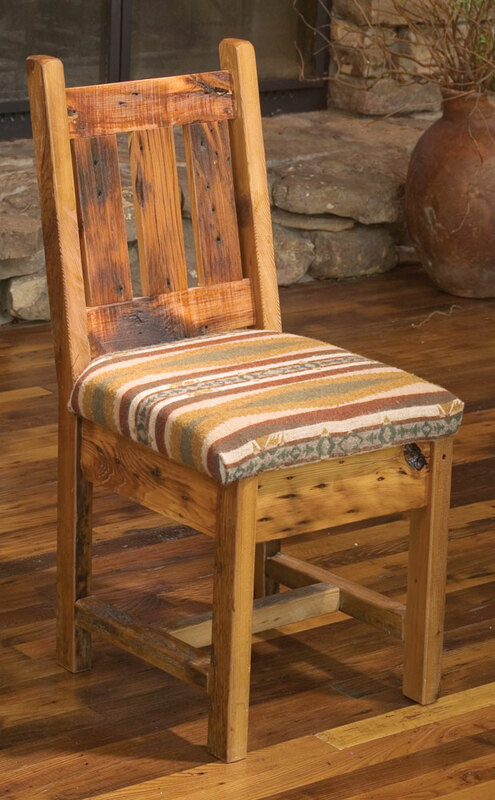 Especially nice with our Teton dining table. 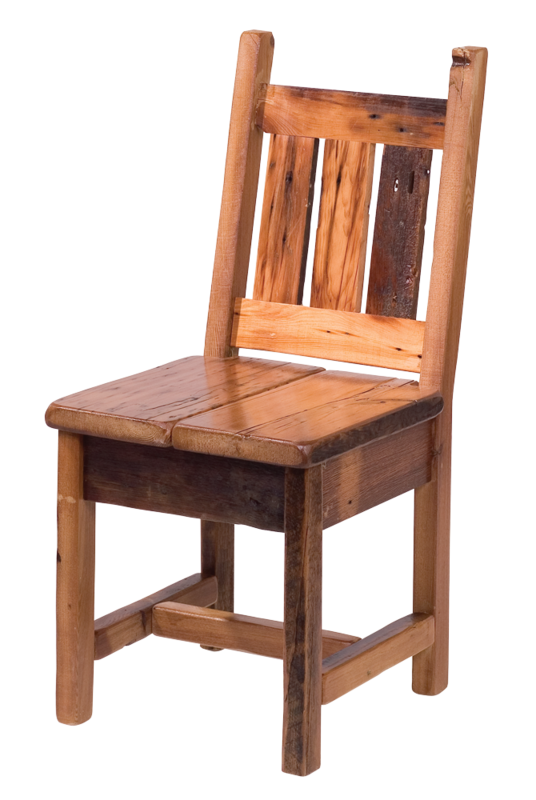 Beautifully crafted to bring the natural warmth and charm of the country into your cabin, home or office. Price Includes: chair frame with wood seat. 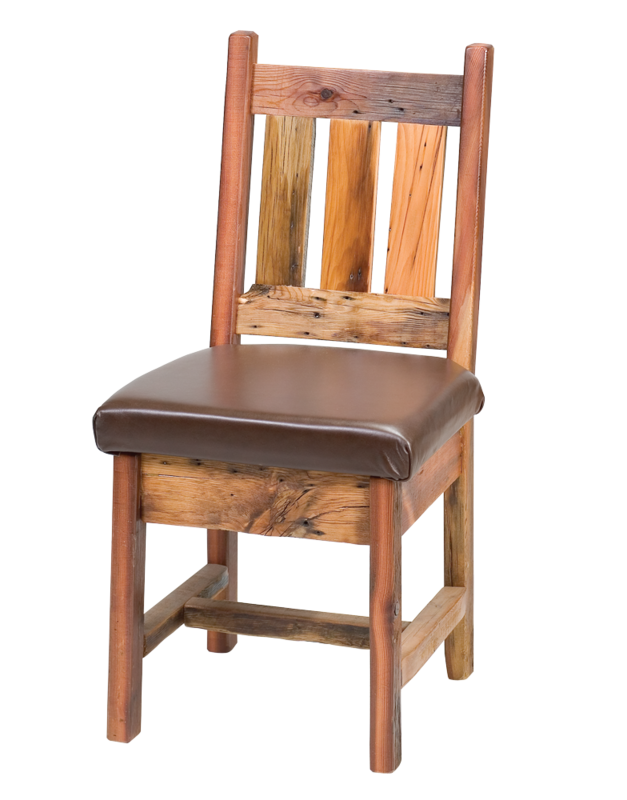 Fabric/leather seat options are available for additional charge. Please call for assistance in ordering cushions. See our Fabric Guide.